Parking: Attendees can park in any of the lots in the boxes. 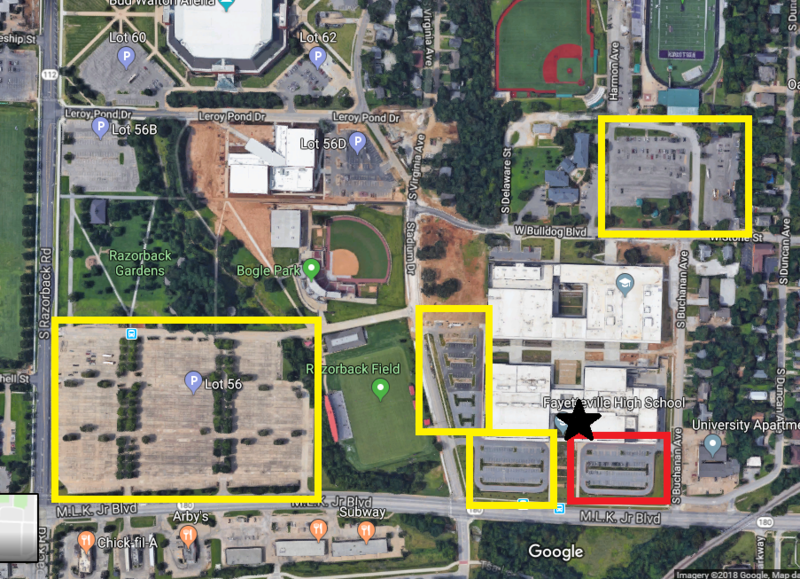 The red box is reserved for ONLY TEDxFayetteville attendees (other patrons visiting FHS cannot park in the red lot). The entrance is located at the star.